Fresh from the record setting series finale comes Mezco‘s latest addition to their 6inch scaled Sons Of Anarchy series: Jax. Jax wears his black SOA vest with blue short sleeve SAMCRO shirt as seen in the series. He comes complete with a knife that fits into the sheath on his waist. The knife can also be held in his hand for a menacing pose that shows he means business. 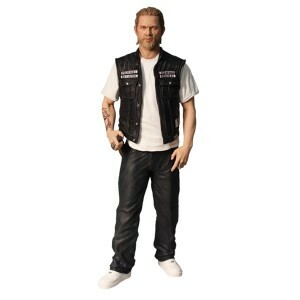 Featuring an all new head sculpt by Mezco‘s award winning design team, this authentic and detailed likeness of Charlie Hunnam as Jax Teller in Sons Of Anarchy has a real-life facial expression, detailed wrinkles, and skin texture. 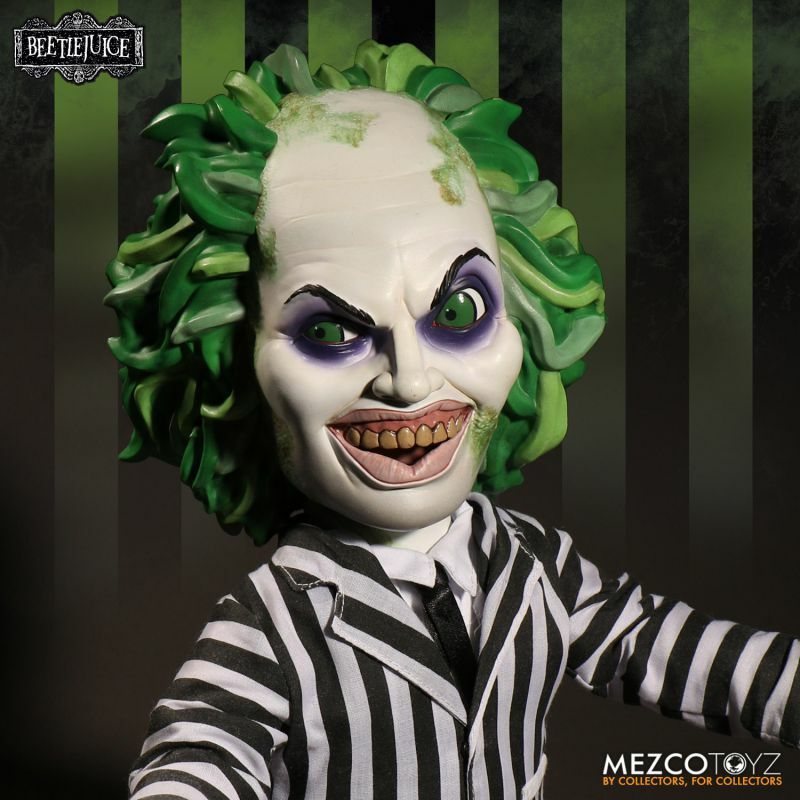 It perfectly captures the smoldering intensity of prime-time’s favorite bad boy. 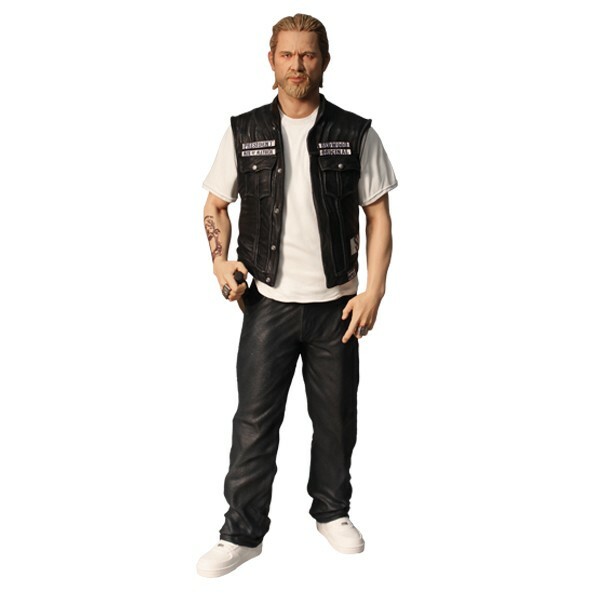 With 6 points of articulation, a new head sculpt, and a killer accessory this figure is a must have for Sons Of Anarchy fans. Jax is packaged in a collector friendly blister card so he can be displayed without removing him from his package. Look for Jax to roll into stores in Summer 2015.